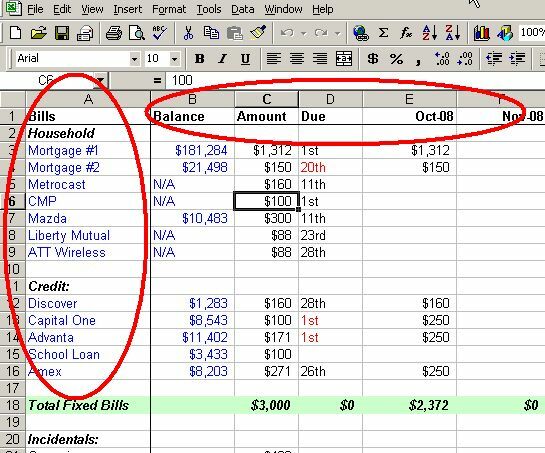 At Home with the Hinkleys: Create a Household Budget Using Microsoft Excel: A Guest Post from Sara @ Nerd Wallet! The best thing you can do for your financial future is to create a budget now. When you are spending based upon a pre-determined budget, you are less likely to spend more than you have and more likely to save or pay off any debts you have accrued. There are many sites where you must pay a fee to automatically create a budget from information you input, but there’s also a free way to budget your money. 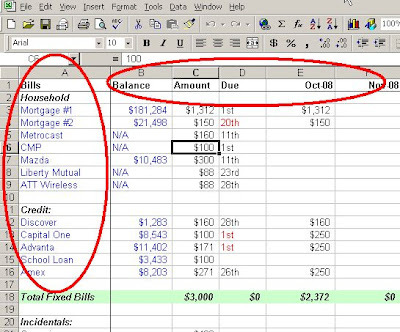 It’s surprisingly simple to create an easy-to-follow budget in Microsoft Excel. The first thing you should do is make a list of all of the non-negotiable bills you spend money on, such as your rent or mortgage, student loan payments, credit cards, utilities, etc. These are fixed bills that probably will not fluctuate. If they are fluctuating, you need to look at your payment plan. The amount due for these types of bills should stay almost the same every month, even for utilities if you sign up for a budget plan. 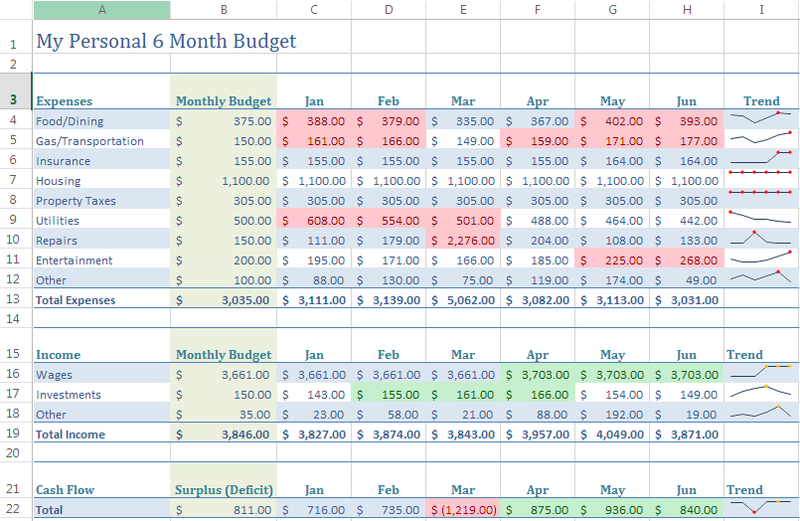 The screenshot below is a great example of how you can create a simple budget format in Excel. There should be a section on your budget for income so you know where your starting point is before you begin making any payments. 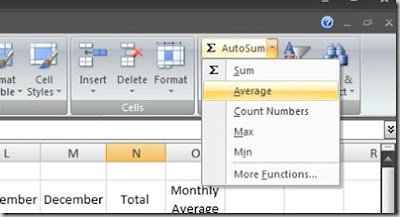 In order to create a budget in Excel, you need to be a little familiar with how the cells, columns, and rows work in this program. Basically, you are going to create titles as seen in the above example spreadsheet. If you forget to include a category, you can always go back later and click the column number to add an additional row or several if needed. And if you want, you can also include a monthly average, which will help you plan ahead more efficiently. 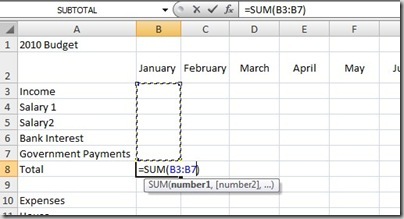 Building a budget in Excel can be a bit of work or a breeze, depending on your proficiency level with the program. However, there are countless (and free) step-by-step guides available online that can meet you at your skill level to help you save time and money. Sara Collins is a writer for NerdWallet, a site that helps users make smart choices about every personal finance subject, from household budgeting to end of life healthcare costs. I'm obsessed with budgeting and always looking to see how other people do theirs - thanks for this post! Interesting article! 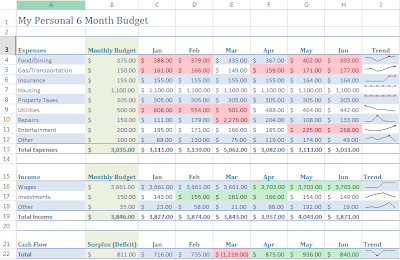 I budget in excel but I do a new sheet every month (I have a few sheets for each month- money, health/exercise, and one to track my progress in school), but now I'm thinking I should do all my money on one sheet so I can start averaging. Excel always confuses me. BUT...I'll pin this for future reference because I've talked with my husband about how we need to do better with our budget.